The question is often asked “What are the aims of the World Budgerigar Organisation (WBO) and the benefits to its affiliated member countries?” I hope in this article that I can outline the aims, benefits and achievements of the WBO in its short history since its foundation in 1994. (i) To bring together representatives of member countries. (ii) To serve as a unified international advisory organisation in promoting common standards for the budgerigar fancy throughout the world. 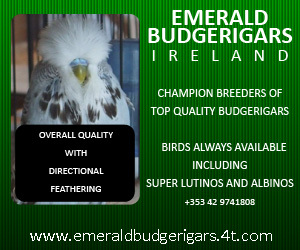 (iii) To support and encourage the free movement of budgerigar breeders and budgerigars across international borders in order to improve the breeding, exhibiting and judging of budgerigars. (iv) To assist in the protection of the interests of members of the organisation. (v) To assist in the progress of scientific knowledge by the accumulation of data and literature and the distribution thereof amongst members of the organisation. (vi) To reward any work of outstanding merit with prizes or other marks of recognition. To highlight the benefits of the WBO I need to give a comprehensive history and background to the formation of the WBO. Initially it was the Budgerigar Society (B.S.) 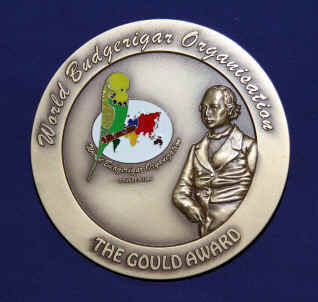 of Great Britain that played the major part in the formation of the World Budgerigar Organisation (WBO). It was as early as 1975, at the B.S. Convention in Harrogate, when the International guests asked the B.S. to take the lead in forming an international organisation; again in 1985 at the B.S. Convention the then B.S. Chairman, Arthur Bracey, mooted the idea of an international organisation. However, the seed was finally sown at the 1990 B.S. Convention when, at the International session represented by Gerd Bleicher (Germany), Dave Marquart (Canada), Joe Sabella (USA), and the late Borg Stenstrup (Denmark), the B.S. was asked to take the lead in forming a World Association for the exchange of opinions, ideas, and ultimately, standards. This desire was based on the need for closer co-operation between countries due to the greater movement of birds and exchange of judges. 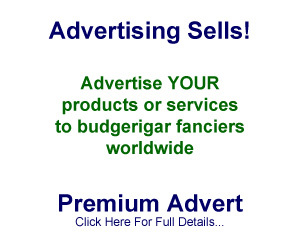 Overseas fanciers generally looked to the B.S. for a lead due to the fact that the B.S. has been established since 1925. This was answered when the General Council of the B.S. agreed to set up meetings of international representatives. As Chairman of the B.S. at the time, Roger Carr asked a fellow councillor, Geoff Bostock, to organise the first International Delegates Meeting. This was held in November1992 in Doncaster, England, to coincide with the B.S. Club Show. Delegates from 15 countries attended and it was agreed that the International Organisation would be formed and would operate in an Advisory Role so that the integrity and independence of each member society would remain unharmed. The B.S. sponsored this meeting and paid the participants a part of their travelling costs. Objectives, aims and priorities were set with issues such as the Ideal Budgerigar, Colour Standards, Show Cage, Research, Ring Colours, Structure of the Organisation, International Judges Panel, Judges Training, Anti Bird Keeping Lobby and many others were discussed and carried forward to the next meeting. This was arranged for November 1993 atDoncaster, again to coincide with the B.S. Club Show. It was agreed that the official language would be English. At the second meeting in November 1993, delegates from 14 countries attended and the items discussed at the first meeting were again discussed and received backing from the organisations that the delegates represented. 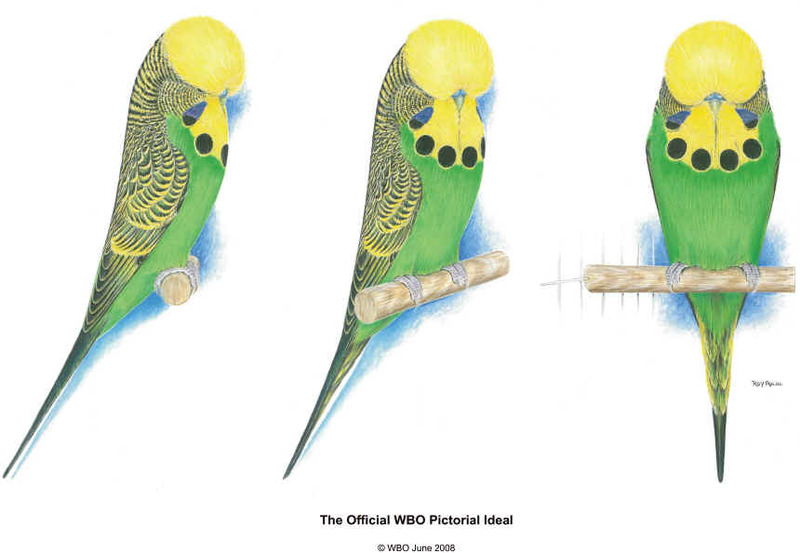 At that meeting the historical decision was taken that resulted in the formation of the World Budgerigar Organisation (WBO) with effect from1st April 1994. A draft constitution was agreed upon with voting powers depending on the size of the society. Roger Carr was elected Chairman and Geoff Bostock Secretary/Treasurer. The first official meeting of the WBO was organised in August 1994 at Karlsruhe, Germany to coincide with the European Championship Show. At the start of the WBO in 1994 there were 19 member countries that affiliated to the WBO. In April 1997 Ghalib Al-Nasser took over the role of Secretary/Treasurer and after 12 years in office Roger Carr retired from the position of Chairman and in April 2006 Gerd Bleicher (Germany) took over that post. Very few changes in officials since the formation indicate the stability of the organisation. Now, in 2012 there are 40 national societies representing 32 countries in the 6 continents that are affiliated to the WBO. They are: Argentina, Australia, Austria, Belgium, Brazil, Canada, Czech Republic, Denmark, Eire, France, Germany, Holland, Hungary, Italy, Japan, New Zealand, Norway, Pakistan, Philippines, Portugal, Romania, Russia, Slovensko, South Africa, Spain, Sweden, Switzerland, Turkey, Ukraine, United Kingdom, USA and Venezuela. Each society is entitled to have 2 delegates to attend meetings who are the contact with that country/society as well as the secretary of that national society. The WBO meets once a year either in mainland Europeor Great Britain. However, in 2005 the meeting was held in theUSA (Las Vegas) and in 2011 the meeting was held in Australia (Canberra). This is to demonstrate that the organisation is truly international. The decision where meetings are held is taken by the delegates at their annual meetings. It was agreed from the outset that all decisions taken by the General Council of the WBO would have to be ratified by member countries prior to them becoming official WBO policy. Each action taken by the delegates at a meeting will have to go back to each individual country/society for debate by their committees and will be brought back again at the following meeting. This ensures that every action taken is fully endorsed by societies and not by their delegates only. After all, the delegates only act as ambassadors for their countries, just like the United Nations. It was also envisaged that not all decisions reached by the WBO could be adopted by member countries. However, for an organisation in its infancy, the progress has been much greater than ever envisaged when considering an international body which meets, at most, once a year and considering all the difficulties of different languages and the time taken for interpretation during the meeting. The friendship and agreement between the delegates has been nothing short of astonishing and co-operation between member countries continues to flourish because of the will of delegates and their countries for the international organisation to succeed. One of the most important achievements is working closely with the world legislative mixed variety organisation, Confederation Ornithologique Mondiale (COM), who has fully adopted our Colour Standards, Pictorial Ideal & Ring Colour Sequence in 2009. This was only achieved by the close liaison of certain delegates and officials who work within both organisations. The COM World Show staged each year in a different country towards the end of January attracts an entry exceeding 20,000 birds of all types. At each meeting of the WBO there is a wonderful exchange of ideas whereby best practice, judging methods, how to become a judge, problem areas, ideas that are successful in other countries are discussed for member countries to pick up and implement if they so wish. To run an organisation like the WBO it is understandable that the matter of costs has to be discussed. So the basics of financial regulations are laid down in the WBO rules. To understand the base of finances see the following part from the WBO Constitution. (v) Each member of the Organisation will be responsible for the expenses of its delegates. (vi) The Organisation will be responsible for the cost of meeting rooms, light refreshments, administrative and, secretarial expenses including essential interpreting costs. (vii) The Organisation will pay the travel and accommodation costs incurred by the Chairman and the Secretary/Treasurer in the execution of their duties. (viii) The Organisation will pay the accommodation cost incurred by the Vice Chairman and immediate past Chairman in attending General Council meetings. 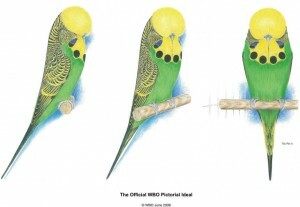 All this and more can be found on the WBO website (http://www.world-budgerigar.org/). I hope that this will give a better understanding of the function of the WBO and illustrate the benefits of organisations to be part of the parent body.